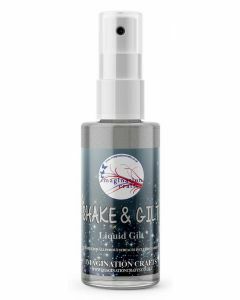 The Shake and Gilt is the perfect spritzer for adding a dash of bright colour and dazzling sparkle to your projects. It's ideal for porous surfaces, so it can help you transform fabrics in an instant. All the glamour with half the effort!